Just last week we were getting the numbers for Gennady Golovkin vs Vanes Martirosyan fight at 1.36M as it was the most watched fight of the year until Saturday night’s Vasyl Lomachenko vs Jorge Linares fight. Lomachenko/Linares drew an average audience of 1.44M viewers and peaked at 1.75M making it the new number one. The number Golovkin put up last week was somewhat of a surprise but Lomachenko/Linares was expected in all reality. The Top Rank and ESPN deal has lead to multiple one million plus viewed cards. Valdez/Quigg was the only other one this year however until Saturday. 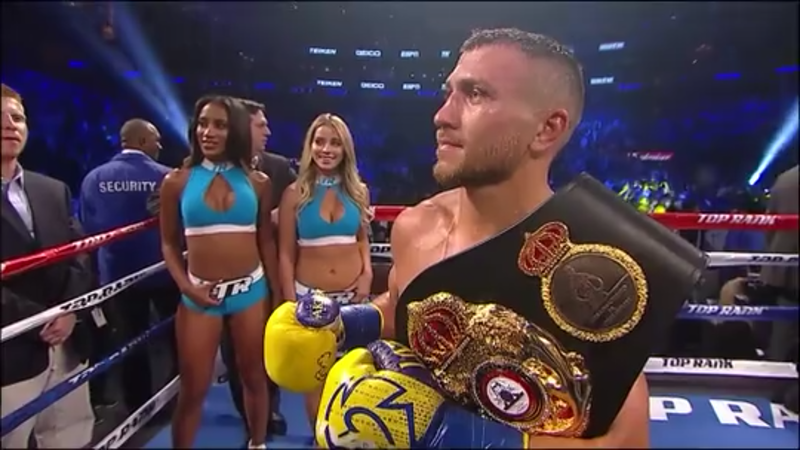 To be fair Lomachenko was the first of the “bigger” names under the Top Rank brand to fight this year yet. Next month brings P4P elite Terence Crawford with a world title fight between him and Jeff Horn. That fight however will be part of the ESPN Plus platform so actual viewership numbers aren’t expected to be available.